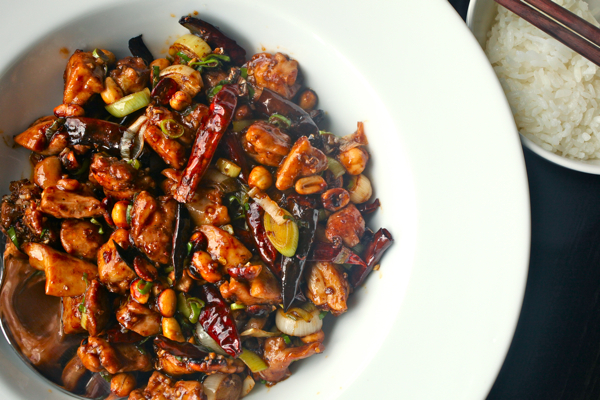 Kung Pao Chicken is one of the most delicious recipes. It originated from China and is considered as one of the finest Asian foods around the globe. First of all, you have to prepare the marinade. Take a bowl and put rice wine and peanut oil in it. Mix them well and then add soy sauce, salt and cornstarch in the mixture. It is extremely important for you to stir all the ingredients well otherwise you will not get the desired taste of the marinade. After that, stir the chicken pieces in the mixture and put the bowl in the refrigerator for around 20 to 30 minutes. Now, take a small bowl and combine all the ingredients of sauce in it. Mix them well and place them aside for a while. Bring the peanut oil to a smoking temperature in a wok on high heat. Then, put the saucepan on medium heat stove and fry chilies, ginger and garlic along with the white part of the green onion. You will have to fry them for around 30 to 40 seconds while stirring gradually. When the chilies become dark add the chicken pieces which you had put in the refrigerator. Fry the chicken pieces while stirring for around one to two minutes. When the chicken pieces turn golden, remove the saucepan from the stove. After that, add your sauce and let it boil. Then, add the peanuts and keep cooking until it becomes glossy. You can thicken the mixture with slurry. In the end, transfer the chicken pieces to a plate and serve them after garnishing the julienne green onions. 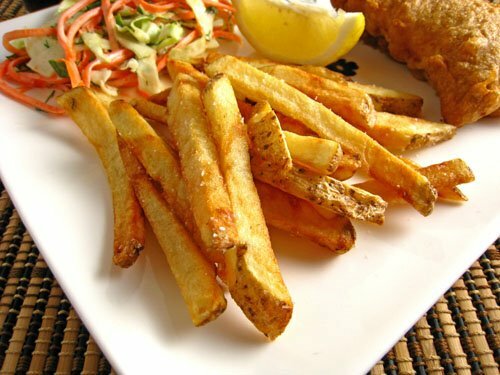 French fries are the best side order if you are already taking Kung Pao Chicken as your main course.